The theme of this year’s Rare Diseases Day was “Show Your Stripes.” I was so excited when I first learned this– I feel like this theme really reflects our rare community, particularly our FPIES community, where I see all of you showing your stripes each and every day. The neat thing about zebras, as I tell my kids, is that even though all zebras have stripes, they all have different patterns of stripes. No two zebras are exactly the same. In our FPIES community, this holds true as well– our “stripes” being each of our own individual strengths and talents. I see the parents on the support boards and in their local communities who are the comforters– always the first to respond when someone’s little one is sick or when that long-awaited doctor visit didn’t go as planned. I see the parents who are the welcome committee– those same words echoed year after year, “I am so sorry that you have to be here, but I am so glad that you have found us.” I remember reading those same words almost a decade ago and I am sure they bring the same feelings now to new parents as they did for me back then. I see the parents who are the readers, always sharing the latest medical journal articles, always reaching out to direct other families to the information they need. In the early days, many of us don’t have the time to dig up all of the research we need, and the parents who show us to the credible resources can help us reach a better understanding. 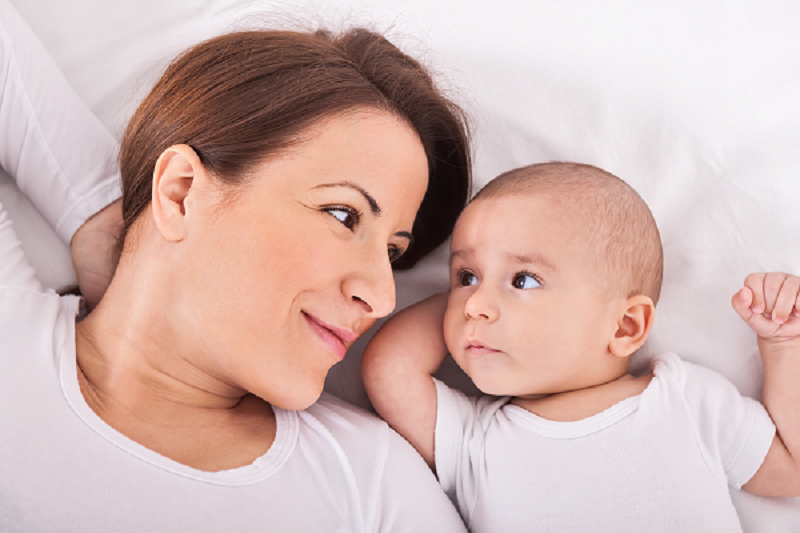 I see the nightowls, so important in this community— when the new parent reaches out with questions in the middle of the night, or even just needs some company when trying to make it through a rough night with their little one, it is these parents that can help others to not feel so alone at what is often the loneliest part of the day. I see the creators, the parents who are driven to find new and more helpful ways of living within the restrictions of FPIES. 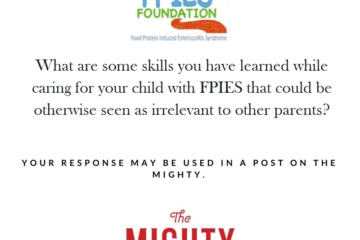 These parents are always sharing their stories and their creations— how they wrote that safety plan for preschool, how they made a birthday cake with only two ingredients, and how they found a way to teach their little one about FPIES. Most importantly, I see the stripes shown by all of our children that live with this diagnosis of FPIES, including my own two daughters. When they are soldiering through labs, tests, and reactions, I see their stripes of bravery. When they are trying new foods, I see their stripes of perseverance and hope. When they find ways to be kids in the face of the stress of FPIES, I see their stripes of resilience. There are so many roles that we all play, so many stripes that are worn in our community, and I am so comforted, so proud and so inspired to see our FPIES community sharing and showing their stripes each and every day. 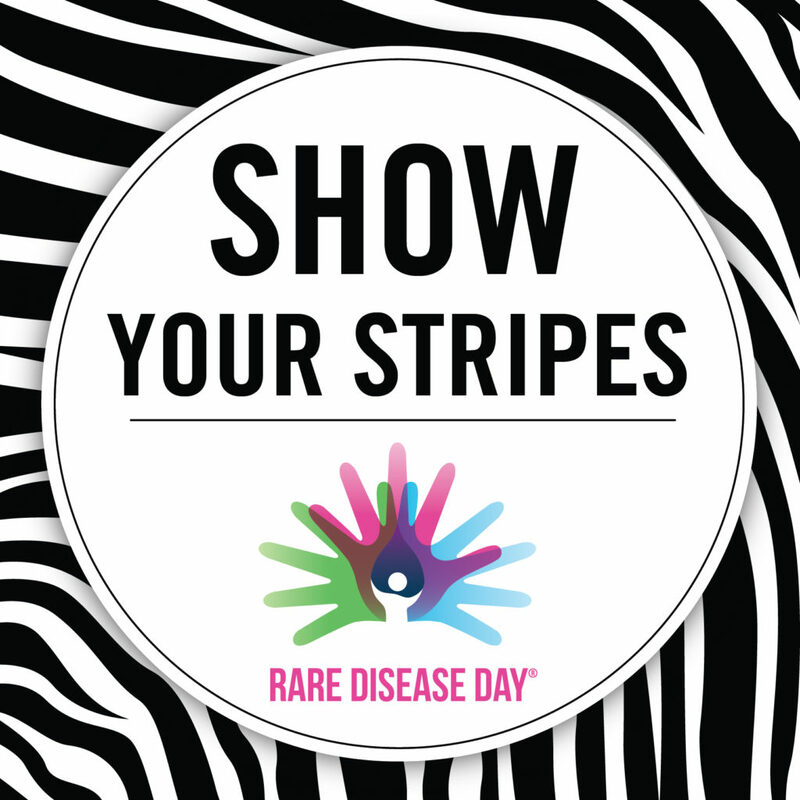 For every Rare Disease Day and throughout the year, let’s all continue to show our stripes as we support each other. Let’s all take a moment to recognize and honor what our own stripes are, and how each and every one of us contributes to this community. Our community is rare in diagnosis, but we are also rare in how we care for one another. 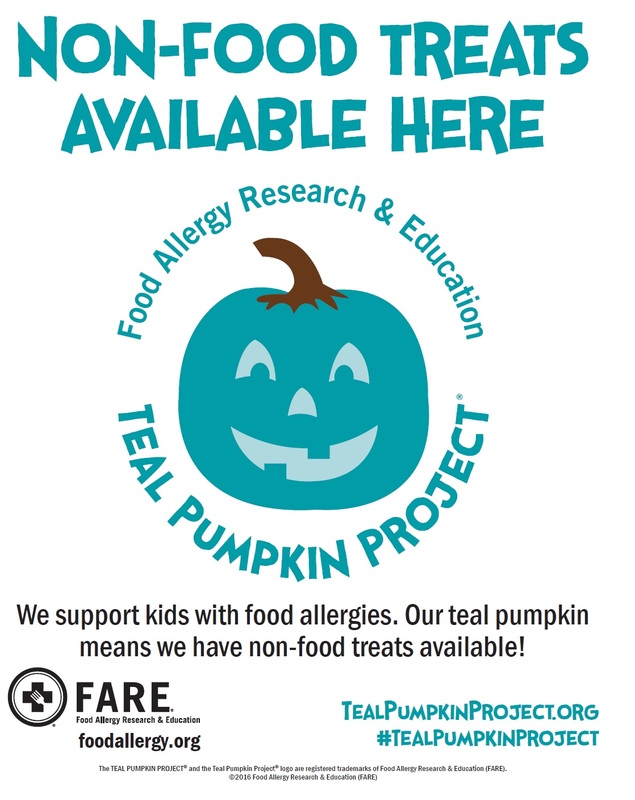 Living with FPIES: Halloween Ideas!